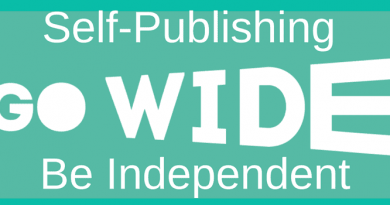 All Indie authors know that they need to have an author website and build relationships with potential readers. You know about the importance of book launches, book reviews and even business cards as elements in marketing your book. Writing guest posts for high traffic blogs is an excellent way to improve your author profile and help sell your books. While they are all necessary, all of these tasks take a lot of time. But you have probably completed them all by now, and you are looking for some new ideas to build momentum on your books promotionally. Book sales come from activity, so let’s get active. Seventeen marketing ideas that you can complete in less than an hour and a half. 6. 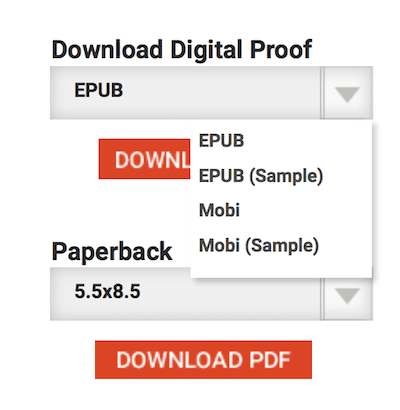 Add a pdf download reading sample to your blog. 9. Add new and fresh Facebook and Twitter headers with Canva. 12. Increase or decrease your book price. 13. Have you got the Amazon previewer on your blog? 14. Did you know you can add your blog feed to your Author Central page? Add your blog feed to your Author Central page. 3 minutes. Total time: 86 minutes, if my arithmetic is correct. If you have good basic computer skills and can copy and paste URL links and text and upload images, you will probably beat the clock. Medium is a great site to share your blog posts because it is a site for avid article readers. There is no SEO penalty for adding your existing articles from your blog. Only a terrific opportunity to find new readers. Select one of your most popular blog posts because it will give you a better chance of getting attention. 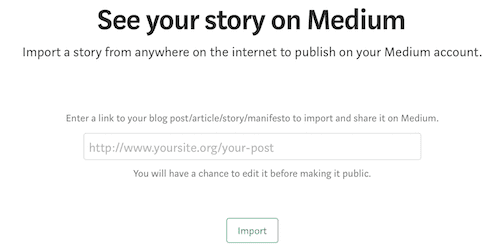 Finding where to do this is not so obvious, but here is where you can import your posts and re-publish on Medium. 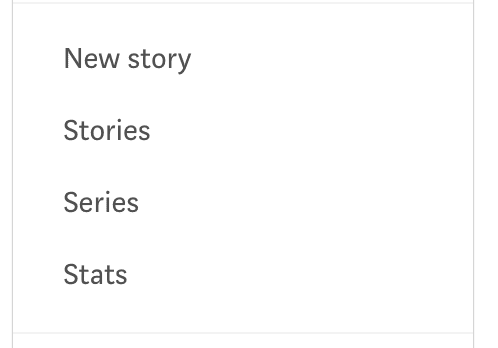 Go to your profile and select Stories, and not New Story. Seems odd, but that’s the way it works. Once you click on Stories, select Import. Then you will be on the screen to import your blog post. 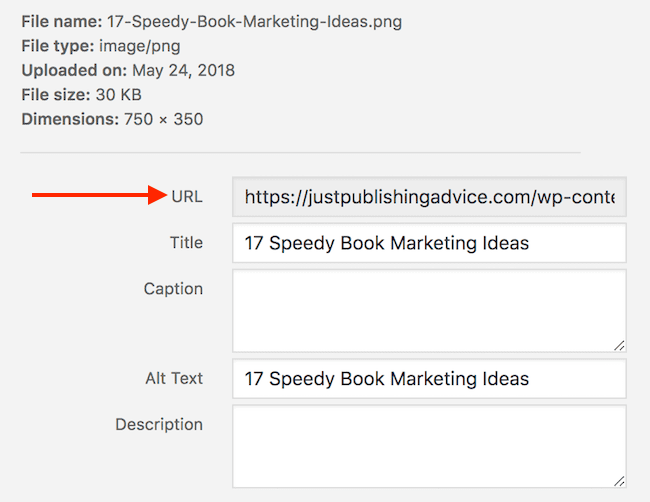 All you need to do is paste your blog post’s URL address, and Medium will import it. Don’t worry; you can edit it before you hit the publish button. A good idea is to add links at the end of your article linking to your books, blog, website or social media links. Another tip is to change your main image or add new images to your post to freshen it up for Medium readers. Every published author can claim their BookBub author profile and add their books. All you have to do is go to https://partners.bookbub.com/authors and complete your details and add your book titles. Any publicity is good publicity. Wattpad has three significant advantages. One is that is popular and has lots of readers. Give me Wattpad over Goodreads any day. Second, it that you can publish chapters of your books. In my case, I only add one or two. Lastly, it has an Amazon book buy link. Go to your profile on Wattpad and then Works to add your chapters. How many emails do you send every day? Do you waste all those opportunities to sell your books? You can add images, HTML and all sorts of fancy stuff. But what about just adding a link to your books on Amazon or Apple? Whizbuzz Books promotes your book on Facebook, multiple Twitter accounts, Google+, Pinterest, Stumbleupon, WordPress, Tumblr as well as cross-promotion on its website. You also get to take a break from social media posting because Whizbuzz Books will re-post your book on Facebook, Twitter and Google+ for one year. It’s not free, but for the price, it will save you from having to remember to post your book regularly on social media. Check what’s included in the price. A pdf file is a quick, easy and effective way to promote your books and is also a practical way to share your short stories. Start by converting a couple of chapters of your book, or your short story to a pdf file. Then upload to the media file of your blog. Now check the properties of your uploaded file, and copy the link address. Don’t believe it works? Well, would you like to read my bio? You might not have even heard of about.me. But it is one site that is renown for indexing profile details. If someone is looking for you, this is a good site to help them find you on Google search. Simply pick a profile image, add your bio and your social links and you are done. Do you have share buttons on your blog? No? Get them! But if you do have share buttons, don’t think that they are only for your site visitors. You can share on your own accounts from these buttons. How easy is that to share all your books, book reviews, and book blog posts on social media? 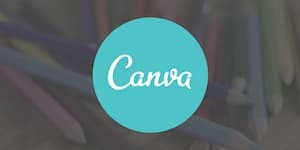 There are countless uses for Canva, and it’s free! I use it every day. There are so many templates you can use for ebook covers, blog images, business cards and a whole host of other uses. But for Facebook and Twitter, and more, it’s got all you need to create a fresh look for your author image on social media. Go mad! Don’t spend your time fretting over how many free ebooks you can giveaway on your KDP free days. Go direct! Yes, go directly to book bloggers, book reviewers and interested readers on social media. How? Download a copy of your ebook from KDP, Draft2Digital or Smashwords. Then you can send your ebook to whoever, whenever you want. How to get your ebook. On KDP, go to your book edit screen, and on the second tab, Content, you will see this section. On Draft2Digital, go to your book. You will see this on the bottom right. On Smashwords, again go to your book and find this box. Once you have your ebook copy, you can send it to anyone. You could also run a promotion on social media to offer a free copy of your book. Did you know you can offer a free ebook download from your blog? Read this article about how to set up ebook downloads on your site. Why free ebooks? To get more readers but more importantly, to get more book reviews. Do a Twitter search for book bloggers and book reviewers and follow twenty-five. Why? Because you need to make contact with these people so you can send them your free ebook copy. Remember the reviews in No 10? Do it once a week, and you will find that a few will follow you back. Then make contact with these new connections because they could all offer potential benefits for your book promotion. Just for fun, change your book price. See what happens. If you book is $0.99, up it to $3.99. If it’s $5.99, lower it to $2.99. How long has your price remained the same? Change it and then leave it for two weeks to see if your sales increase. The Amazon previewer allows your blog visitors to click directly to a preview read of your book. It even has a buy now button! It is so much faster than a link to your book on Amazon, and then a buyer having to click on Look Inside. For the instructions on how to add this, read this article on how to add the Amazon embed link to your site. But this is what it looks like in the wild. Cool huh? Go to your Author Central Page, and under your biography, there is a section to add your blog feed. If you are not sure of what your feed address is, it is your blog or website address plus the word feed. So it should look like this. Copy your site address into a text editor and then add the word /feed/ between two backslashes. Now paste your feed address into the Author Central blog field and you are good to go for readers to see all your new blog posts. 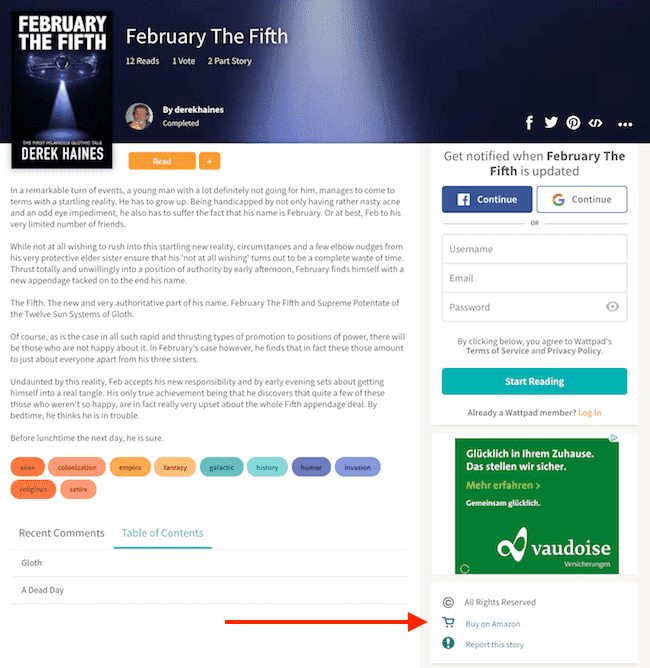 Now you know how to get your feed address, add it to Goodreads as well. Here are the instructions from Goodreads help. From your Author Dashboard, click “view your blog.” This will take you to a welcome page with three options: write a new post, edit your blog’s title and description, or sync with a pre-existing blog. From there you can change the name of your blog, as well as write a new post. Choose sync with a pre-existing blog and add your feed. Linkedin is a very popular social media site for a lot of people now. It is always worth building your connections as part of your social media network. You can add your books to your profile under the section called Accomplishments. The bonus when adding your books to your Linkedin profile is that you can add a link directly to your Amazon book page. Almost everyone has a Facebook account, so why not make your books easier for Facebook users to buy? All you need to do is add a Shop to your Facebook page. Read this article on how to sell your books on Facebook for clear instructions. It will only take you a few minutes. Stop the clock. How did you go? It doesn’t matter how long it took you to tick off these 17 marketing ideas to spread your book promotion further. All that matters is that by expanding your reach, more people will be able to find and buy your book. Sure, there are many more ways you can spread the word. You can build your mailing list, do online interviews, agree to do a reading for a book club or ask your local café if you can offer copies of your book for sale at their counter. There is always something more you can do to promote your books. Great ideas, I’m going to try one or all of them. Thank you. Hi. I couldn’t find a way to add the “Amazon book buy” link on Wattpad. Do you need a premium account for that? Thanks!